The Partnership regards providing access to the countryside as a very important part of its role. Wherever possible, the countryside should be accessible to all, whatever their ability. The KSCP has been involved in projects to promote easy access for all visitors. 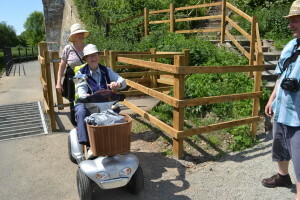 A good example of this is the Great Stour Way, a joint cycle/footpath which links Canterbury to Chartham, which KSCP led the development of providing access for those with limited mobility in 2011. We have since worked on the GSW to improve access through the removal of unnecessary cattle grids and gates. 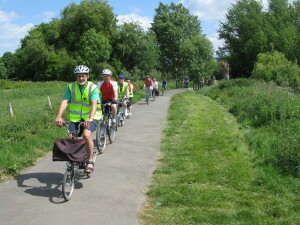 It is also important that access should be via sustainable transport – the KSCP promotes walking, cycling and public transport as a means to getting out into rural areas, and many of our self promoted walking and cycle routes have excellent public transport links, or are even based around the use of public transport. 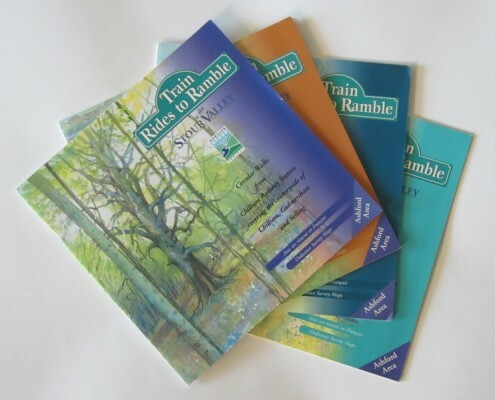 The Project has published a series of booklets called Train Rides to Ramble and a series of leaflets called Bike Trails by Rail to encourage people to use the railway to make walking and cycling trips in the countryside. For more information on our Train Rides to Ramble booklets take a look at our publications section, here. 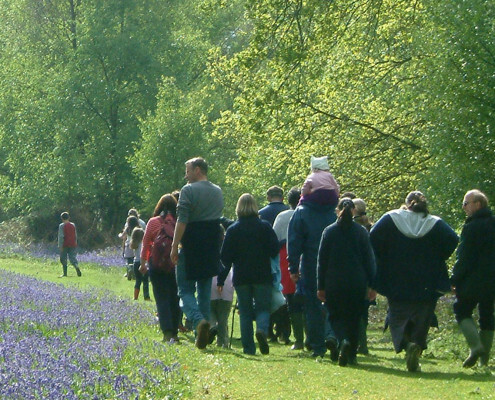 A number of recreational walking paths pass through the partnership area, some of which the KSCP has helped to develop: the North Downs Way, the Stour Valley Walk, the Elham Valley Way, the Greensand Way, the Great Stour Way, the Big Blean Walk and the Saxon Shore Way. 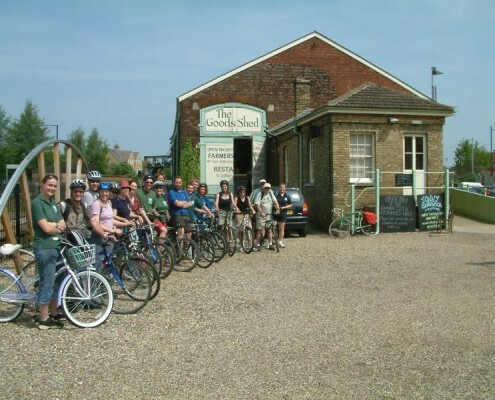 Cycle paths in the partnership area include the Crab and Winkle Way, and Great Stour Way both of which the KSCP has taken a major role in developing. The Crab and Winkle Way and Great Stour Way guides, as well as our other walking and cycling leaflets can be downloaded for free here.